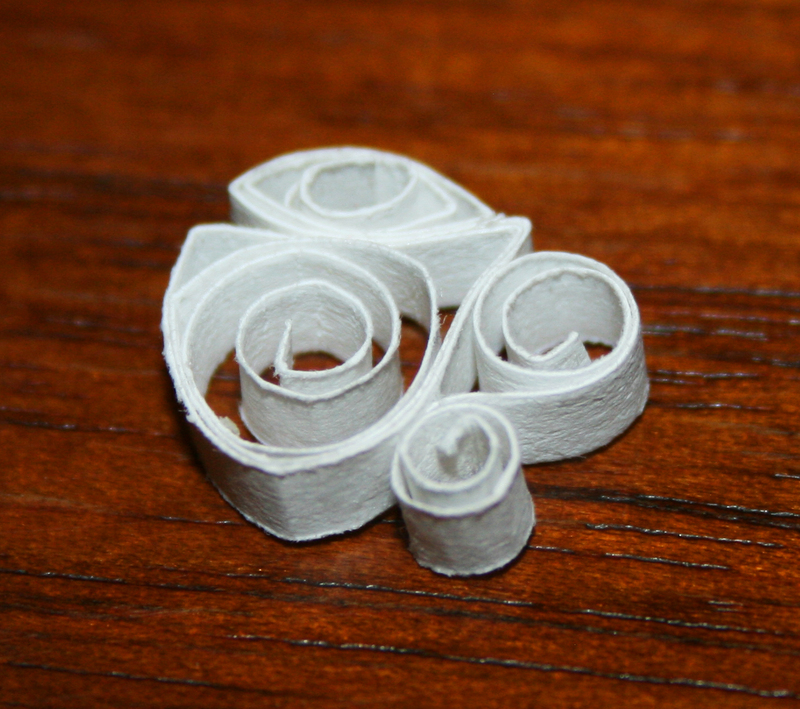 I've been wanting to try a new paper folding technique called Quilling. Actually, it's paper rolling, not folding. I've seen a LOT of really pretty quilled creations, and have been totally inspired to test it out. 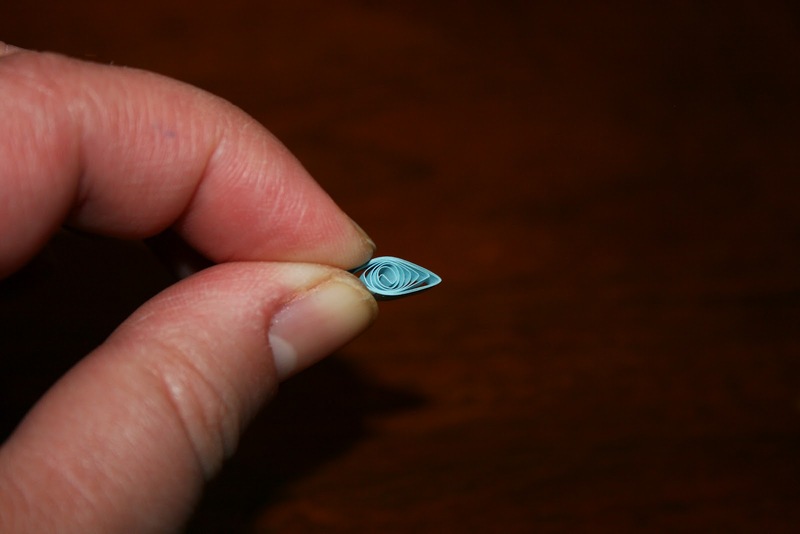 Start by placing your paper into the quilling tool. There is a little slot that you slide the paper in, that will hold it while you roll. 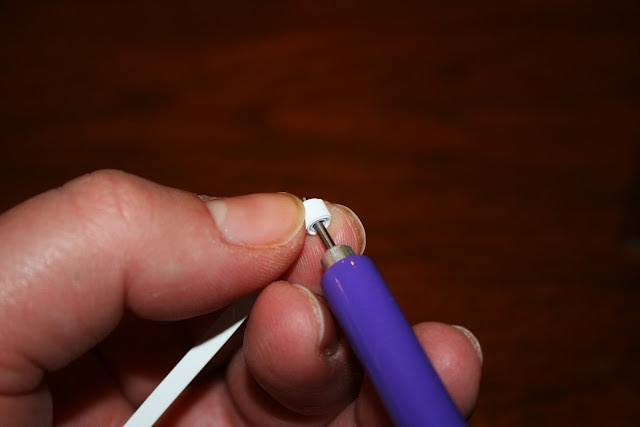 As a beginner, I've found this to be a LOT easier than using the plain needle quilling tools. Then you just start rolling the paper. TIP: If you want a tight roll, then apply finger pressure. But, if you want a loose roll, make sure you are very light on the paper or you will have trouble getting it to expand. Took me a while of playing around with it to figure out how much pressure to use for different effects. Once it is rolled, just slide it off the tool. It may help to push from the bottom of the roll instead of just pulling directly off, so that the center doesn't get pulled out of the loop. 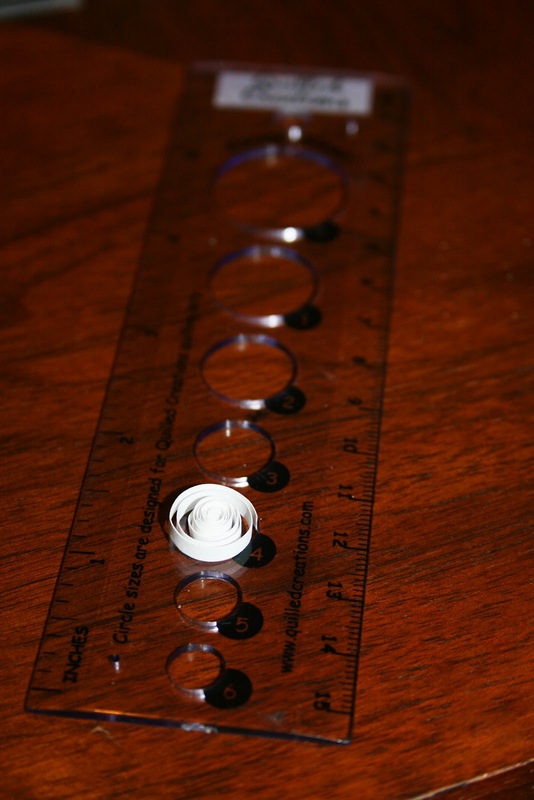 If you want a loose roll, then place your loop in one of the Quilling Circle tool holes. This tool will help make sure you have uniform sizes when making creations. 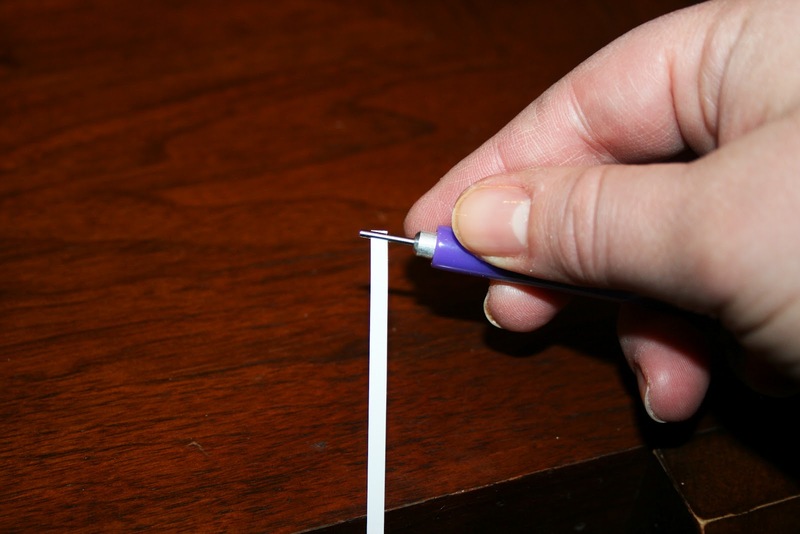 Glue the end of the paper to the loop. Then just pinch and mold to get the different shapes. Here's a picture of the mug. And a picture of the fish. I think I'm going to have a LOT of fun playing around with this new crafting technique. There are so many different possibilities!! Cute! I love to quill too, and you hit on lots of the best tips. Thank you, Ann! 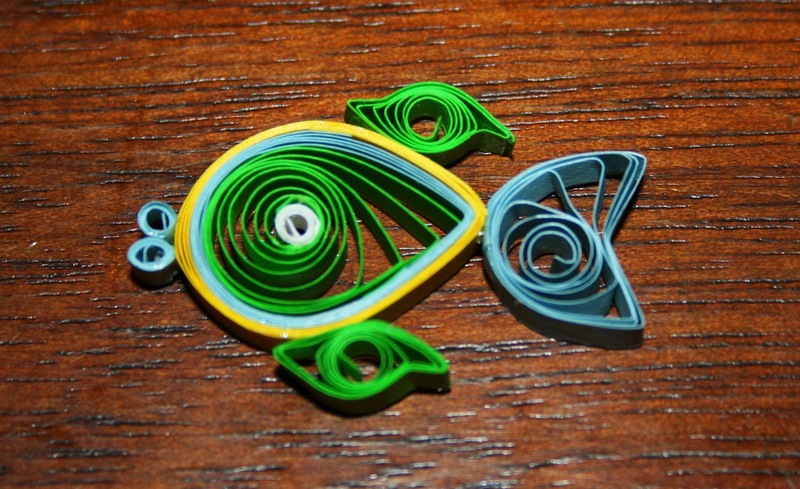 I think I'm going to REALLY like quilling!